LA FÊTE is an all incluslive event production company, creating artistically designed and flawlessly executed weddings and events since 2012. The LA FÊTE team is devoted to perfection and it is of the upmost importance that each event is extraordinary and unique, from the first impression down to the smallest detail. Clients are guided through the patented LA FÊTE planning and design process with experience, advice, artistic vision and a calm positive demeaner — making the whole process as pleasurable and unforgetable as the event itself. 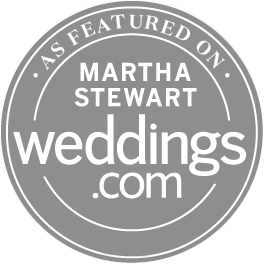 La Fete has been published multiple times in all local wedding publications (online and print) as well as national, such as Martha Stewart Weddings, Style me Pretty, Once Wed, Magnolia Rouge, Wedding Sparrow, Belle Lumiere… and many more. 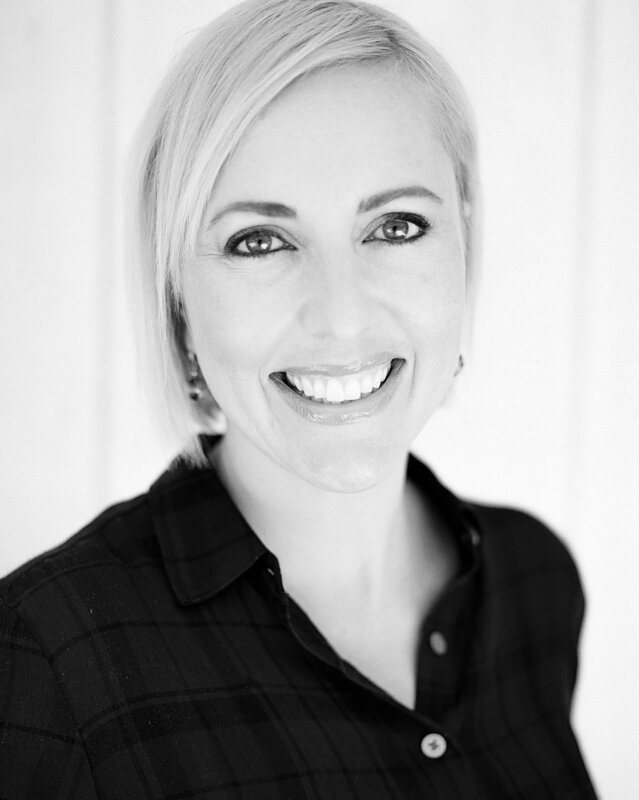 As a wedding and event planner, Allison has over 7 years of experience designing unforgettable weddings and events. Her time living in Paris, France refined her unique style, aesthetic and approach to design. She knows what is an important element and what also can be omitted. Her style is described as a mix of timeless classic details mixed with a modern unique flair. She has specific knowledge with destination brides as well as local. Allison has curated relationships with venues and vendors locally and nationally and will help you choose the best ones to fit your style, needs and budget. She is known for being calm under stress and can handle any “bump in the road” with class and poise. She has the seasoned experience so she able to assess situations quickly and decisively. It is her goal to bring tears of happiness to your eyes and drop the jaws of your guests. She understands it is your day to enjoy yourself and make it the day of you have dreamt of. WIth Allison Baddley as the main contact, you will also meet the wonderful and reliable LA FÊTE team. The LA FETE team consists of qualified Industry professionals with previous floral or event planning experience to ensure that your day is given the LA FETE white glove experience. The LA FÊTE method and approach to wedding and event design is unique and process driven. We will start by getting to know you and assessing your specific goals to figure out what is most important. Then we will discuss budget. Most wedding designers at this point would discuss palette but we truly believe that there are other aesthetic factors that would inspire the design such as venue, natural surroundings, season, wedding dress, cultural background or traditions and most of all the feeling you want you and your guests to leave with when they think of your wedding for years to come. We also believe every design is fluid and adaptable. After you hire LA FÊTE you will receive a design proposal completely unique to you detailing these inspired visual and sensual aspects. We will refer to this design when planning every detail of your wedding or event. This is a tried and true process that will indeed create a unique and unforgettable event from start to finish. Words used to describe our florals are; fresh and lush, textural, seasonal, unique, romantic, and natural. We truly feel that it is an advantage that we offer full design and floral services – everything you need under one roof. We promise it saves not only time but money in the end. PLEASE NOTE, You don’t need to use LA FETE planning and design services to use our floral design. Yes, we can just do florals. Allison, has over 10 years of floral design. She has learned to break the rules of traditional floral design, push boundaries and use nature as her guide for creating her unique brand. Over the years, she has acquired many tried and true techniques that make her florals special and unforgettable! She loves to try new things concerning installations and design and is always open to a challenge. She continually is invited to travel and design with some of the top florists from around the nation to help them learn from her techniques. She sources flowers from top growers around the world, so you can have the freshest and highest quality flowers. She is very particular and extremely picky when it comes to her floral standards. She has a trusted staff of qualified and talented designers who have learned her way of creating and working. Our floral services include a customized visual proposal unique to your specific needs, budget and desires for your day. After an initial consultation– we will discuss your palette, types of flowers, season, and specific reception and ceremony needs pertaining to YOUR VENue and budget. RENTALS: LA FETE offers a wide variety of candles, votives, vases, card boxes, signage, etc. All items such as vases are leased unless purchased. PlanninG - budget allocation, payment and vendor contract management, and communication. We will hand select from curated vendor list to find the best price and fit for your needs and aesthetics. Management and liaison of entire vendor team to make sure things run smoothly months beforehand and on your wedding day. We will create a specialized timeline necessary for bridal party, photographer, videographer and other vendors involved so your day runs smoothly and seamlessly. We will communicate through email, text and face to face visits to ensure your needs are met. DESIGN –After discussing your desires and dreams for your wedding day, you will receive a unique visual design proposal. This proposal will outline the main aesthetics and themes that will weave itself throughout the details of your wedding day. We want to get to know you, your style, family dynamics, palette and the things that are most important to you. We have the unique ability to transform a space into something timeless, unique, special and unforgettable. DAY OF Producer – This includes AN onsite producer for the day. THIS PRODUCER will be there from the beginning of the day for set up and until after you have left for tear down. YOUR DAY OF PRODUCER will make sure everything happens seamlessly and aesthetically per your desires. tHEY will direct all vendors and will handle any “bumps in the road” so you can take the time to enjoy your day. THEY will direct and cue the bridal party, officiant and bride & groom during the ceremony as needed. This is for the bride that already has specific ideas and plans in place or it is for the unique wedding that may not need the same type of attention as a regular wedding day. After meeting or talking with you and discussing your specific needs, we will customize a price based on hours involved for planning and design. PLANNING –Planning includes; budget allocation, payment and contract management/ negotiation and vendor communication. We will hand select from curated vendor list to find the best price and fit for your needs and aesthetics. Management and liaison of entire vendor team to make sure things run smoothly months beforehand and on your wedding day. Create timeline necessary for bridal party, photographer, videographer and other vendors involved so your day runs smoothly and seamlessly. DESIGN –After discussing your desires and dreams for your wedding day, you will receive a visual design proposal. This proposal will outline the main aesthetics and brand/theme that will weave itself throughout the details of your wedding day. We want to know you, your style, family dynamics, color palette and the things that are most important to you. Our style is usually a mix of timeless romantic details mixed with a modern and minimal flair. We have the unique ability to transform a space into something unique, special and unforgettable. INVESTMENT: THIS IS AN HOURLY WAGE, DEPENDING ON STAFF NEEDED. This includes A qualified LA FETE employee as your onsite coordinator for the day. They will be there from the beginning of the day for set up and until after you have left for tear down. THEY will make sure every step happens seamlessly and aesthetically per your desires. THEY will direct all vendors and will handle any “bumps in the road” so you can take the time to enjoy your day. THEY will direct and cue the bridal party, officiant and bride & groom during the ceremony and make sure the vendors are familiar with the timeline and it is followed so you have time to do all the things you want to on your special day. She will direct the photographer, videographer, DJ, musicians and other staff as needed and according to the timeline. Please note, additional events other than “same day events” or a ceremony rehearsal is an additional cost.